11 years in the Oil and Gas Industry. Experienced in Project Management, Quality Control, Accounting, Due Diligence, Right-of-Way and Surface Acquisitions, Bureau of Indian Affairs/Ute Tribal Leasing and Permitting, Mineral Ownership Reporting, Oil and Gas Lease Negotiations, Abstracting of Title, Lease Take-Offs, and most recently as an Evacuee Liaison and Expert Witness. Attended Utah State University, majoring in Geography International Development. Terra has lived in multiple countries, Somalia, Uganda, Estonia, Latvia, and Lithuania, not to mention the United States. She grew up in Africa, where she developed a love of culture and diversity. She made her way to the Uintah Basin in 2001 where she met her husband. She has two young daughters, who keep her busy with competitive dance. 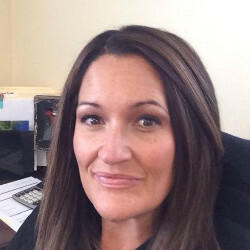 Terra enjoys boating, camping and raising her family in a safe and small town atmosphere. 17 years in the Oil and Gas Industry. Experienced in Accounting, Oil and Gas Lease Negotiations, Right-of-Way and Surface Acquisitions, Mineral Ownership Reporting, Abstracting of Title, Lease Take-Offs, Bureau of Indian Affairs/Ute Tribal Negotiations, and Due Diligence. Attended Utah State University, majoring in Practical Nursing. 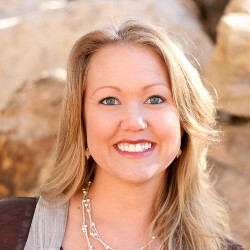 Jennifer was born and raised in the Uintah Basin, where she has cultivated relationships within the community. She has two children, a son and a daughter, who are quickly growing and leaving home for work and school opportunities. She started her adult career as a nurse, where she fell in love with helping and caring for others. She later started an oil field trucking company, and then on to a career as a Petroleum Landman. She enjoys the time that she is spending with her children as they are getting older, and cannot wait for the next bend in the road. 12 years in the Oil and Gas Industry. Experience in Accounting, Real Estate, Employee & Project Management, Title Research, Acquisitions, Sales, Marketing, Compliance, and a Certified Trainor in Oil & Gas Software. Works closely with Oil and Gas Attorneys to research and resolve title issues. Current focus is on DDOTO compliance and review, Title Curative, Force Pooling, Mineral Ownership Reporting, Oil and Gas Lease Negotiations, Abstracting of Title, and Client Reporting. Attended Utah Valley State College, obtained a Secretarial Degree in Accounting. Attended Stringham Real Estate School, became a licensed Utah State Real Estate Agent. Nicole was born in Salt Lake City, Utah and moved to San Diego at the age of 10. She migrated to Northern California after graduating high school, where she lived in the heart of the wine country for 9 years. In 2003, she and her son relocated to Vernal, Utah, where she met and married her husband in 2006. 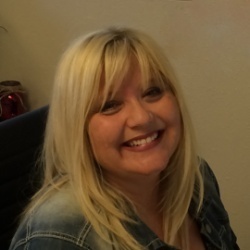 Nicole enjoys reading, is an avid football fan and loves to watch and coach her children’s sports teams. She and her husband love raising their 3 teenage boys in Vernal’s small town rural environment, which offers the opportunity to camp, hunt, fish and boat right outside their door.